Contrary to the cover art, lesbians not included. Modo, who has many arms and a head of fire, is probably evil. Just in my opinion, and absent the fact that he is on trial, any person using the phrases “That amuses me” and “I, Modo, will prove it to you” is most probably evil. Regardless, he has been has banished from the Absolute, an afterlife area filled with Higher Beings. In a display of mediocre dialogue with decent quality video, for 2005, we see Modo being cast from the Absolute and punished by becoming a mortal for one hundred years. 40 years later, the player enters the scene. Playing with a choice of four characters: Weird Gypsy, Fat Friar, Baker’s Wife or Awkward Scholar, you are steps away from graduating from a magic academy. All you have left to do is choose your specialities in magic and strive off into the world. No sooner do you declare which magics you will use for for the rest of your life does a sick student show up and your teacher sent you out on a mission. Saving the student’s life, the teacher declares you graduated and sends you to a neighboring city to start your new life’s journey. 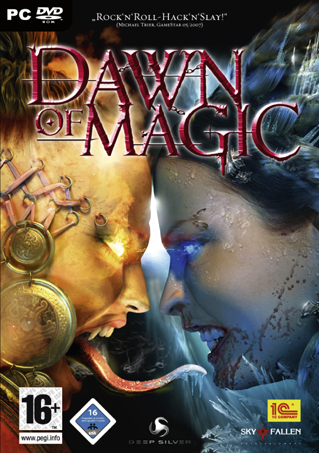 This game plays remarkably like Neverwinter Nights, only without a decent story. The plot, speaking of other games, feels like it was lifted from or inspired by Diablo as well. The character choices are just not good. I do not really think anyone has thought that saving the world as a Baker’s Wife or Fat Friar would be something fun to try out. The most fun I had with this game was when I found I could break the narrative in fun ways. It turns out that not only can you destroy jars, to look for gold, you can also destroy bookshelves and cabinets. Not only can you do this in most buildings, but you can do it in front of a classroom of people who then all start yelling at you and try to summon the local guardsmen. However, you can stop the messengers from getting to the guardsmen by killing them on the spot. Beware though, once the guardsmen catch up to you. If you just broke things there is a fine, for murder it is death by villagers who surround and kill you.